Here’s my moment of honesty. If I didn’t care if readers came to read what I write, then I would just buy a personal journal and write away. You’d never hear from me again. The traffic I receive here at RIHG is important to me. Now that we’re being honest with one another, what if I told you there are some very basic things you can do to increase readers coming to your blog site? Don’t let that thought overwhelm you, what is required comes with a price. No, I don’t mean you have to get out your wallet. It’s not that kind of price. The cost is a few more labor hours and knowing the right things to do before you publish a post. So that I don’t over-extend my welcome, I’m going to spread these suggestions over a series of posts, and guess what? I’ll be trying them right along with you. It will be interesting to see if these suggestions that many successful bloggers promise to work will indeed bring more traffic to your and my sites. Our first two steps will come directly from WordPress. I can’t think of a better place to start than taking advice from these guys. 1. Create a descriptive tagline. This sounds ridiculously simple, but until I read of the importance of doing so, my blog had no tagline. 2. Use specific post slugs. Okay, I knew taglines were available, but never in my wildest dreams did I know of WordPress slugs. On taglines, little did I know that this is the tool that search engines use to identify what your site is all about. 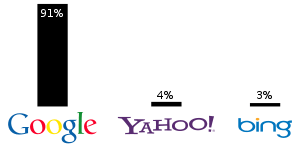 It is so important that when you don’t have a tagline, or even choose one that doesn’t effectively describe your site, search engines may very well ignore you. In case you don’t know where to install your tagline, go to “setting” in your dashboard, then “general,” and there you will have the option to add a tagline. Use much honesty and a little wisdom when creating this puppy, it’s used all over the internet. causes me to think of little bugs that are grossly white. To be a successful blogger though, you’re going to have to play around with these little critters. As you are writing a post, if you’ll take a look just below the title, you’ll see a neatly named “permalink” with the option to edit. The key here is to click the edit button and change the highlighted stuff there to something a little more along the lines of what your post is about. This is a little tricky though, not because it’s difficult, but because you need to put something in the text box that gives a really good overall description of what you’re writing about. Mess up, and you’ll eventually get blackballed by the big guys over at the search engines. They only let you fool them for so long. Here’s what I mean. If what you are writing about is the grace of God, but you want to get a lot of traffic, so you insert into your slug, “Michael Jackson,” when you get caught doing dishonest stuff like this, you’re going to pay the penalty. The search engines will often just ignore your site. So there you have it. If you’re like me, what is there to lose in trying something that costs nothing, at least not monetarily? I would love to hear from some of you that have already been doing these things, and even more so from those who will try it now. This entry was posted in Increasing Readership and tagged Search engine optimization, Tagline, Tools, Web search engine, WordPress. Bookmark the permalink. Had never heard of slugs [the internet kind]. When I look at my permalink it shows the wordpress web address followed by the post title with hyphens between the words and a slash at the end. I had no idea that you were allowed or should mess with this. But you should not touch the blog address, correct??? And I assume you must use the same format if you change or add words in the post title, i.e. keep hyphens between the words???? Thanks for sharing the knowledge MT! I was not aware that slugs could be so beneficial 🙂 One thing it frees up: it lets folks write a headline that is designed to get people to read the rest of the post while still preserving what the article is really about via search engines. I am inspired to experiment! Thanks again brother, and keep up the great blog whether it’s for 20 or 200… or even an audience of one! Hey, neither was I Bill. It’ll be interesting to see how these suggestions play out. Thanks for all the great encouragement good friend. Blessings! I will soon mark my first year. I started mostly as an outlet of spiritual speaking. Then it became fun, then it turned to scheduling so that I actually did post three times per week to meet my goal. You are right. Step number one for me would be to actually read THROUGH the wordpress manual! Thanks for the advice today. I shall look into the tagline in settings. I do try to use creative tags on each post. I guess that’s how I pick up foreign readers. Slugs—no clue. Thank you so much for stepping out and making this practical! I need some changes and this will be a great time to do it. Prayerfully hoping these posts are of benefit to others good frined. As I learn of what the successful bloggers are doing, I would like nothing more than for many others to find these things profitable as well. Blessings to you! I already have a tag line but didn’t know about the slugs (I’m with you on the yuk factor, MT). Since I battle chronic pain illnesses every day, I need to use my writing time carefully because I simply cannot sit in front of this machine for many hours at a time. I am looking forward to reading your other helpful hints about blogging. After 1-1/2 years, I’m still a relative newbie! I understand fully Anna. I suppose I’ll remain a student of this field for all the time I’ve yet to blog. Blessings to you as you write for our Lord even as you endure chronic pain. Your words are both challenging and humbling for me. Prayers for you today. Yes my good friend, I’ve been going at this for a couple years and have forced myself to consider if I’m as desirous of my words being read as I think I am, then shouldn’t I be willing to hear the words of some who have been very successful at blogging? My subscription base wouldn’t pack a small gazebo, at least not those who follow the email notification to the site. Trying to be very honest, these things I’m trying and suggesting may or may not turn into anything, but it seems not at least doing what is recommended is like that old definition of insanity. Doing the same thing and expecting a different result. So I’ve committed to giving it a go. But I know I have established many friendships out here in WordPress, and if by chance some of this stuff works, I would like nothing better than for other sites like yours to benefit from what I’m learning also. Be encouraged that your words are needed! There just cannot be enough believers sharing the gospel (pray that the Lord of the harvest sends laborers into the fields), but if we’re to strive to be wise as serpents yet gentle as doves, let us do so with the effort that we’re called to do everything with. It’s for His glory. Praying also for you and your words. Some of the tasks offered ahead are difficult and time consuming. Some are less intrusive and require only adapting some habits before posting. We’ll see. Blessings to you today. Good stuff. I have written and used the tagline. However, (duh!) when I had to re-install my factory settings when my computer took a leap back to dial-up speed, I forgot to re-insert the tagline. I have just done so. 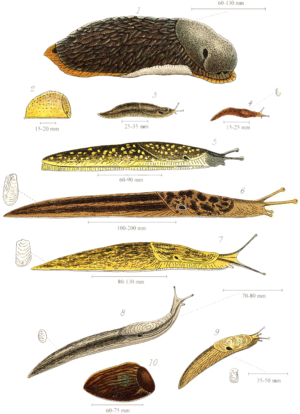 I read about slugs on WordPress but did not try them. I will now. I really want to increase my traffic too, so I’m looking forward to reading your post series. I have noticed my traffic goes up when I post regularly, e.g. Monday-Friday, and when my posts are shorter. Still looking forward to more visitors. Just like you. Good luck and I’ll be reading. “To thine own self be true.” I have challenged myself to invest more into what we do here, Steven. While I have no unreal expectations, it seems we would do well to at the very least to hear what those who have had success and follow them a little, maybe a lot. The time we invest is of course time that God has given us stewardship over and to fail to invest it wisely with the intent to be successful… pretty sure we see where this leads. I’m looking forward just as much to input from visitors who have tried these things. I’ll try to report occasionally how these implementations have affected my traffic, I hope others do as well. Blessings good friend. I like your moniker for what we’re doing here Walter. Sort of like honing the edges. I trust these and the words ahead will be advantageous for all of us who get out here and write regularly. Thanks good friend, but I’m going to kindly hand the “genius” cap back for now, it’s all other people’s stuff… just passing it along. 🙂 Blessings! I know, you are a humble man… Blessings back to you friend. One of the blogs I follow is beginning to look at increasing blog visitors. I will reblog them here, but feel free to follow Resting in His Grace. Good stuff! Ok, let me get this straight on the slugs…Are we talking about the name for the Permalink? Mine puts in the title. Would it be better to change from the title or is the title, if it’s descriptive, ok? A very good question friend. Most times the answer is yes, I think (how’s that for being positive?). As I think most are aware, I’m learning here too, but something I’ve noticed as I look back through my titles is that they often are designed to catch the eye, but don’t really portray the entire focus of what I’m writing. The “slug” as I’m understanding it is meant to give a very straightforward description of the post’s content. So I would say yes, try it, see if something happens. By the way, by doing this for this post, the hits are already accumulating. As stated, learning here too… thanks and blessings good friend. Thanks! The Dates are related to a “through the Bible” reading plan. I could leave them out. I was wondering if what you are suggesting would be best based on the original post. I will work on that…. Thanks for sharing this good friend. This could be a very profitable adventure.